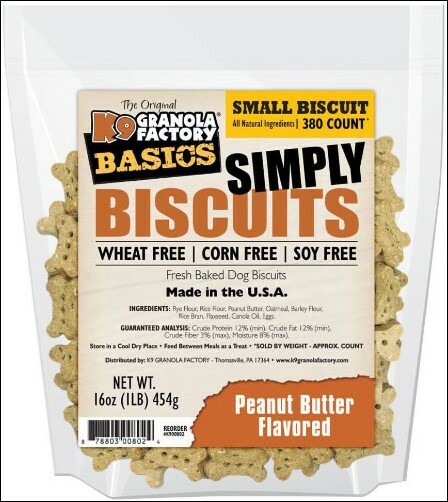 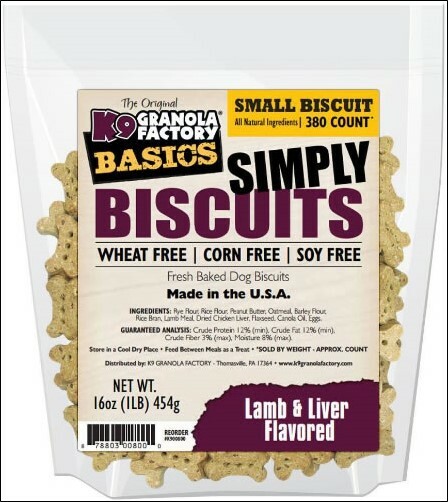 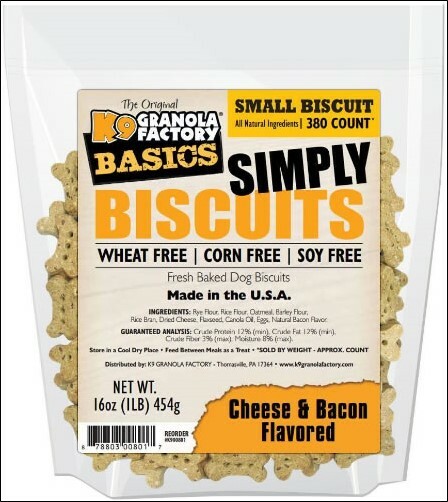 K9 Granola Factory's Simply Biscuits treats are a small crunchy biscuit ideal for training or as a daily treat for small dogs. Their 1" size can be fed whole or broken into smaller pieces, if needed. 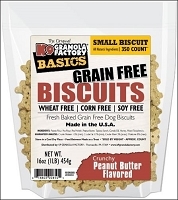 In addition to being all natural and made in the USA, they are wheat, corn, and soy free, too.